As perhaps some of you may already remember from older posts on here, my love for Rouge Bunny Rouge cosmetics is not a new thing. And despite the fact that those little black containers are among the most treasured items in my makeup collection, I realise that I have not shown them the love they deserve, at least not on these pages! - Alabaster Starling is a gorgeous metallic white with a slight hint of pink. It's very light-reflecting and makes for a beautiful highlighting shade. - Solstice Halcyon is a taupe-mauve shade. It looks matte in the photo, but it's more of a satin finish in real life, perfect basic color for any neutral or taupe lover! - Delicate Hummingbird is a beautiful cool-toned, metallic purple! - Abyssinian Catbird is a bronzey gold with olive green tones, superbly complex and utterly stunning! One of my favourite colors in my whole makeup collection! - Bejewelled Skylark is a dark brown with copper reflections. 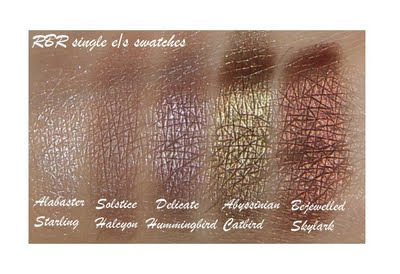 Again, another beautiful shade, and along with Abyssinian Catbird, the two most pigmented of the bunch (btw here's an older post with a look of those two combined)! 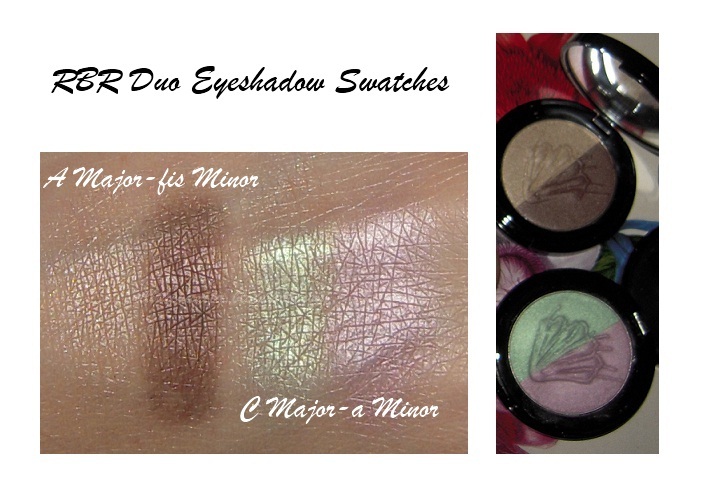 - C Major/a minor, a seemingly unorthodox pairing of two cool toned shades, that somehow works in the end! Both shades are wonderful, but my personal favourite is the green one: half the times I see gold in it and others...teal, another brilliant execution! - Orpheline, a bright warm pink, that may look scary in the pot, but one that gives a lovely flush to the cheeks! By the way, don't let it scare you if you're pale - it does work on us too with a lighter hand! I hope that this has been somewhat helpful, whether you've only just heard about the brand, or you're long acquainted with it! Hi Tina! Wow great swatches Hun. I can see how "Abyssinian Catbird" is one of your favourite in your whole entire makeup collection - it really stands out in all of your eyeshadow swatches. Such a unique colour and it looks like foiled gold with a slight green tinge. I think for me, probably in addition to the price, the lack of availability would be an issue for me in getting Rouge Bunny Rouge cosmetics. It seems that I'd have to order it online as the only stores are in certain parts of Europe only? So I haven't tried any of their products although you certainly describe the quality well. Do you find the eyeshadows on par with the Hourglass quality eyeshadows? I really thought Hourglass had it down right for quality. Urban Decay is not far away either in terms of quality especially their deluxe shadows and it's more affordable and more available. BEAUTIFUL!!! I've fallen head over heals for Rouge Bunny Rouge thanks in part to your older posts! 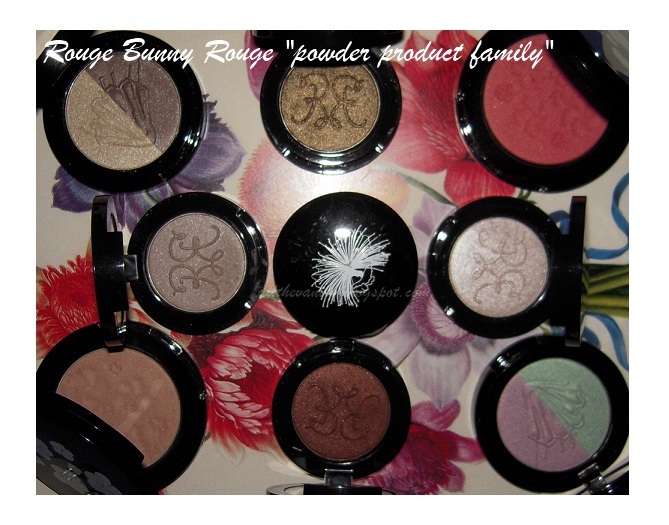 I love them so much I decided that I wanted to give away Rouge Bunny Rouge products for the giveaway I'm hosting right now. I'm so happy I've discovered Zuneta and Rouge Bunny Rouge LOVE! 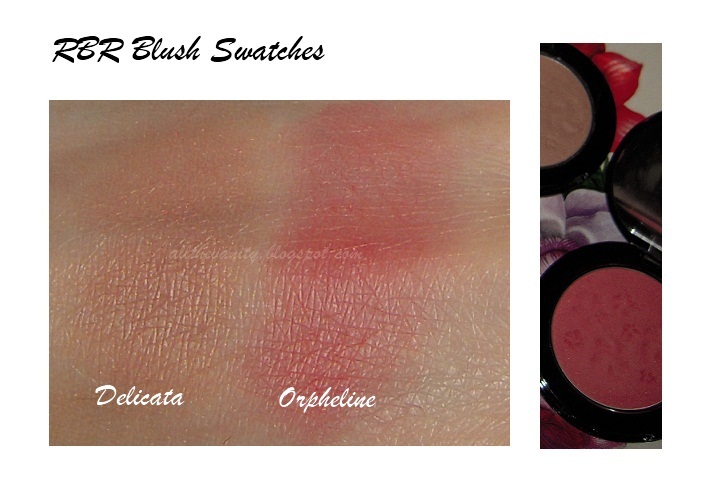 Great review hun once again!And those swatches put me in the mood to try RBR which btw I havent try yet!! wonderful entry, thank you so much for this great read! As you know I am a total RBR addict myself and it's so much fun to get to know other blogger's opinions! You got lovely colours in your collection, well done!! What a beautiful collection. I've really enjoyed your pictures. You know I love RBR and I always have my eye on expanding my collection. I think my next lust is one of the lighter shimmery eyeshadows. One of these days I'll have wild moment and order one of the stunning liquid highlighters too! Oh wow, these look fantastic! How come I never heard of this brand before??? Do you get them locally or online? @Karen Law: Well, come to think of it, yes, I'd say that they're definitely comparable to the Hourglass ones, in terms of smoothness, blendability etc! As far as eyeshadows go, I rate those two brands (plus NARS) the highest among anything else I've tried (better than Chanel imo). Have not tried any Urban Decay items though (besides the UDPP - shock horror I know). And you're right regarding RBR availability - if I'm not mistaken there's only a few stores in Germany and Russia that sell them? @Sam: Thanks Sam! Already contemplating a couple more shades, but it's SO hard to narrow it down!!! Wow Abyssinian Catbird looks amazing!! Den exw tpt apo RBR yet,pou tha mou paei omws?? The first set of colors look really pretty! @fantastic: Oh, absolutely, I've never managed to find anything similar with THAT amount of pigmentation!! !